The dream.Medusa performance was conceptualized as part of an installation exploring the stages of sleep and dreaming, created as part of the beatzMASSIVE* LIFE Project for the all night art festival Nuit Blanche, held in Toronto, Canada. dream.Medusa uses live performance, interactive video and participant interaction to lead the audience through a simulated lucid dream. 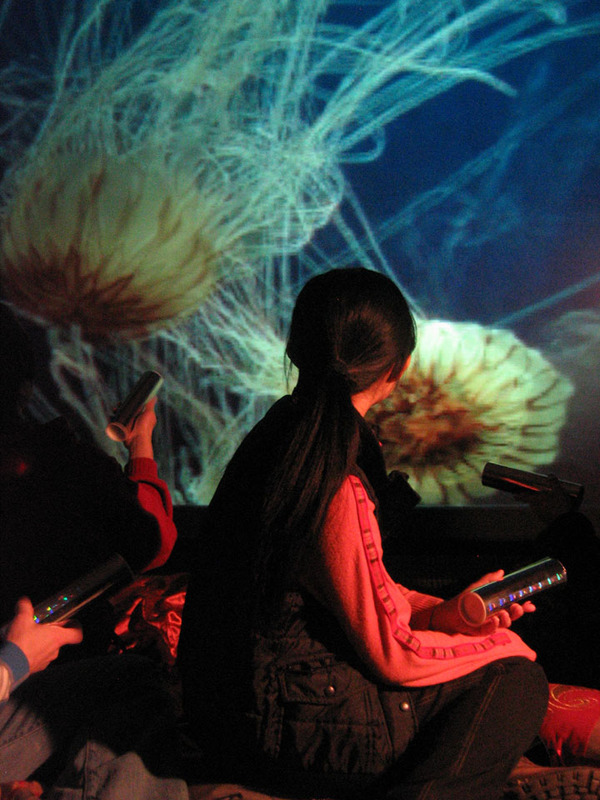 dream.Medusa's allows four participants to collaborate with a live singer to create an audio-visual concert performance shaped by participatory interaction. Using videos of rhythmically moving jellyfish and an evocative soundscape, dream.Medusa conjures a dream-like, calm, and peaceful experience. dream.Medusa was performed in numerous international venues between 2007 and 2009, including performances at the Festival de las Artes in Salamanca, Spain, and the Museum of Modern Art in Toluca City, Mexico.